A police bomb squad was called to the Calbee snacks factory in eastern Hong Kong after staff there found a hand grenade from the First World War inside a crate of French potatoes, police said. Officers moved cars and piled sandbags around the 1-kilogram (2.2-pound) device before safely destroying it. ” The grenade was in an unstable condition because it has been previously discharged but failed to detonate,” Superintendent Wilfred Wong Ho-hon told reporters. 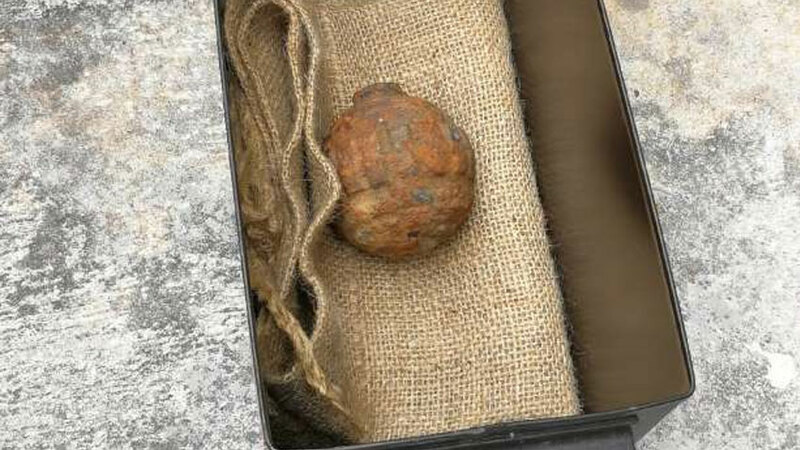 The grenade, thought to be a German model, was encased in mud and hidden in a shipment of potatoes imported from France. Hong Kong University military historian Dave Macri said the weapon was probably buried beneath a former battlefield some 100 years ago.